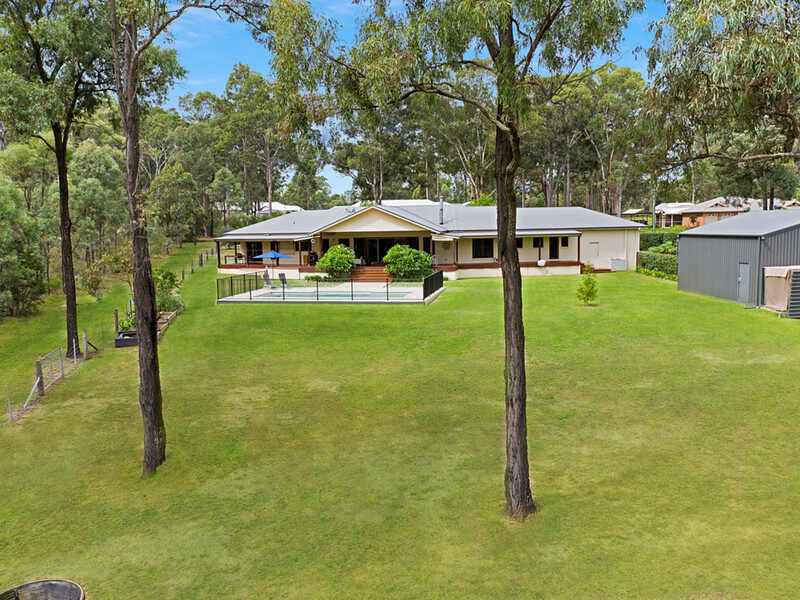 A huge master-built country home on an acre of land with town water, plenty of shedding and a rural outlook – this is the one! 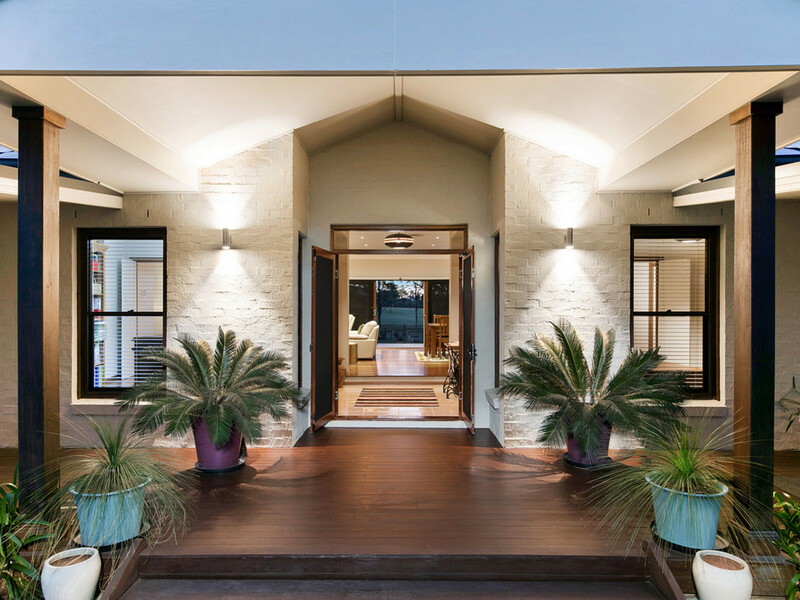 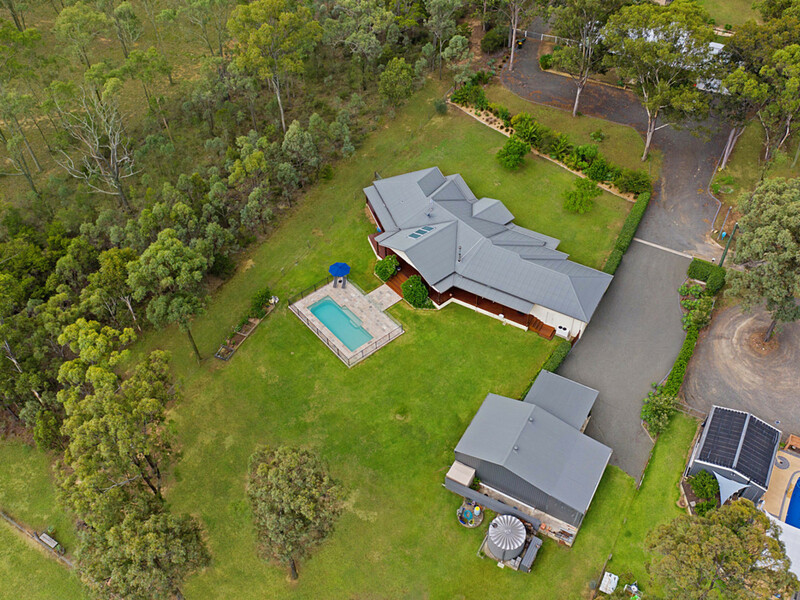 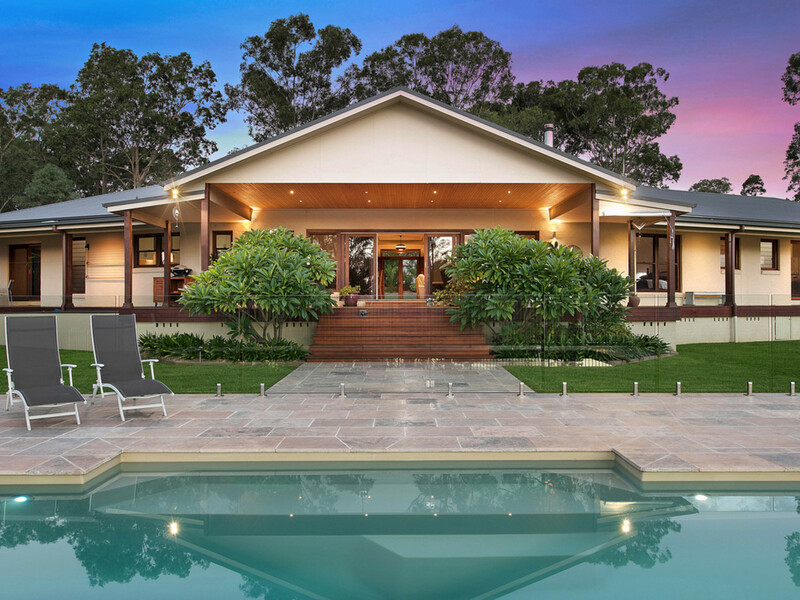 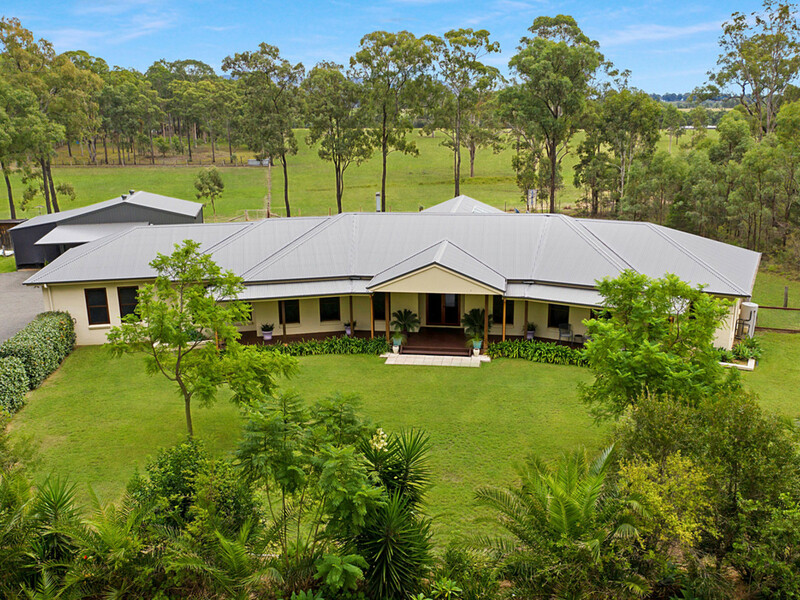 The home sits among established leafy grounds in a very private and tightly-held part of ever-popular Nulkaba. 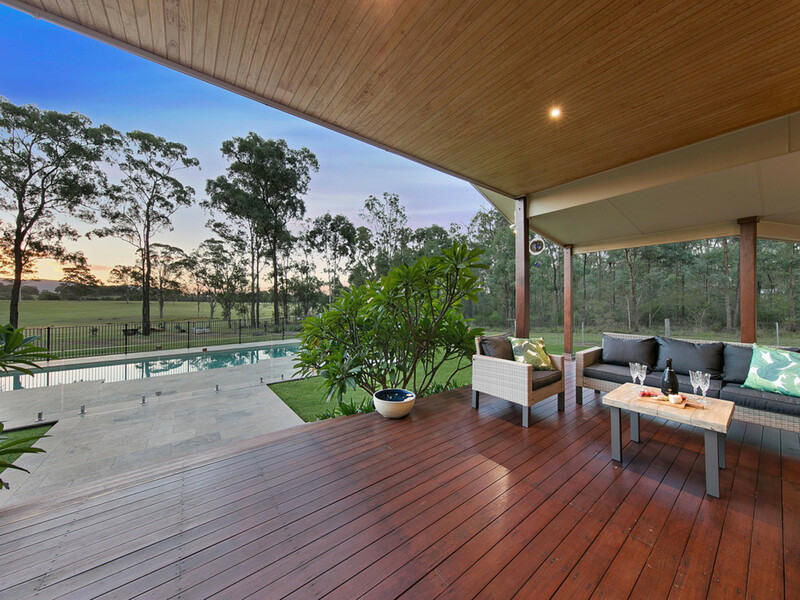 Abundant natural light and open-plan living areas create a luxurious but relaxed space which flows seamlessly through glass doors on to a rear entertaining deck overlooking the pool and surrounding countryside. 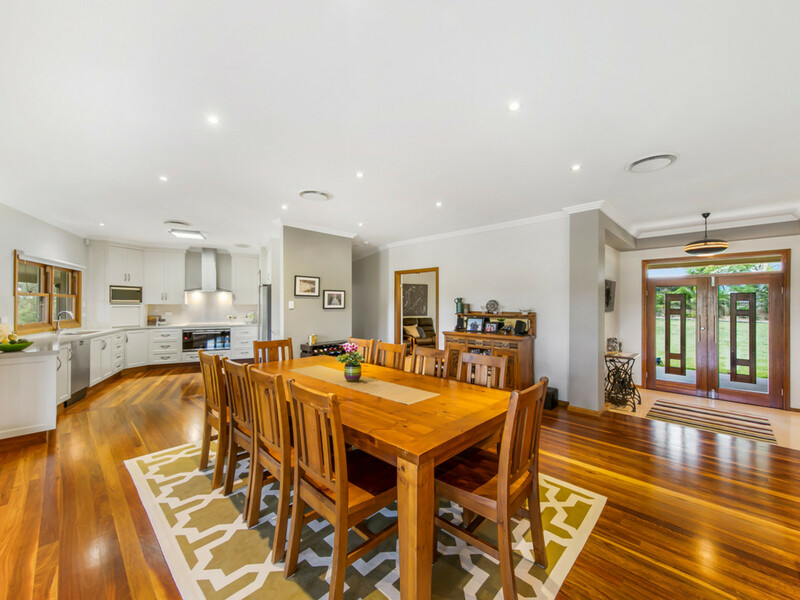 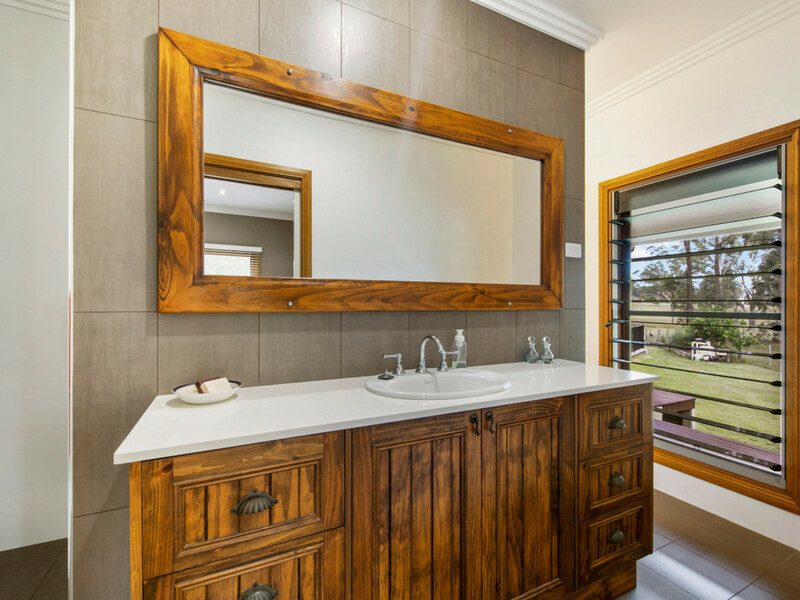 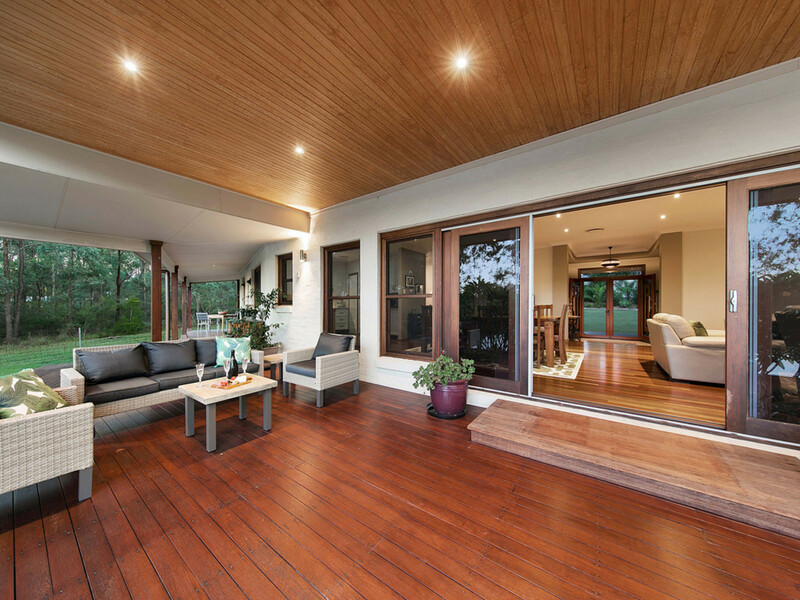 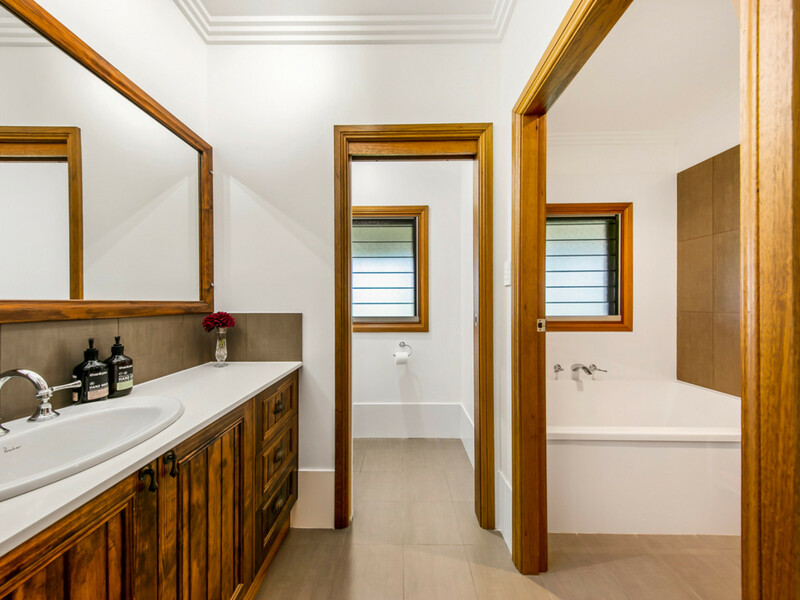 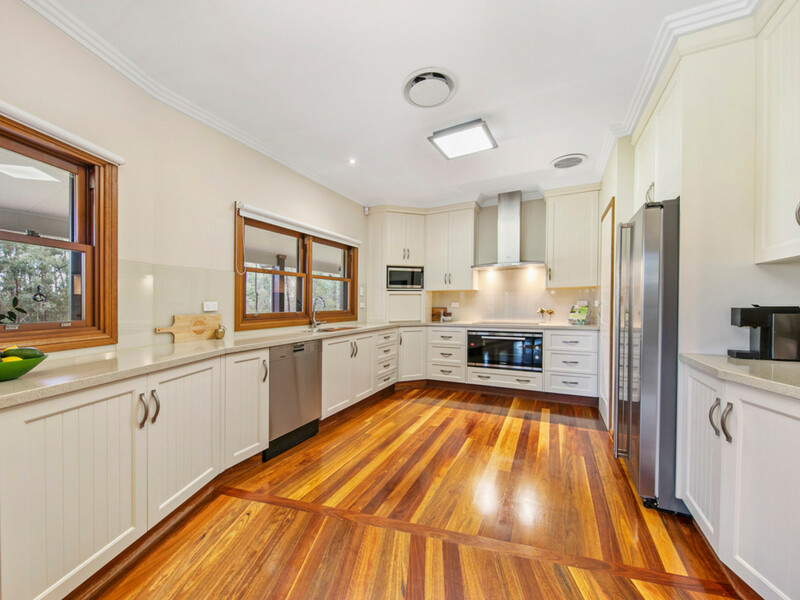 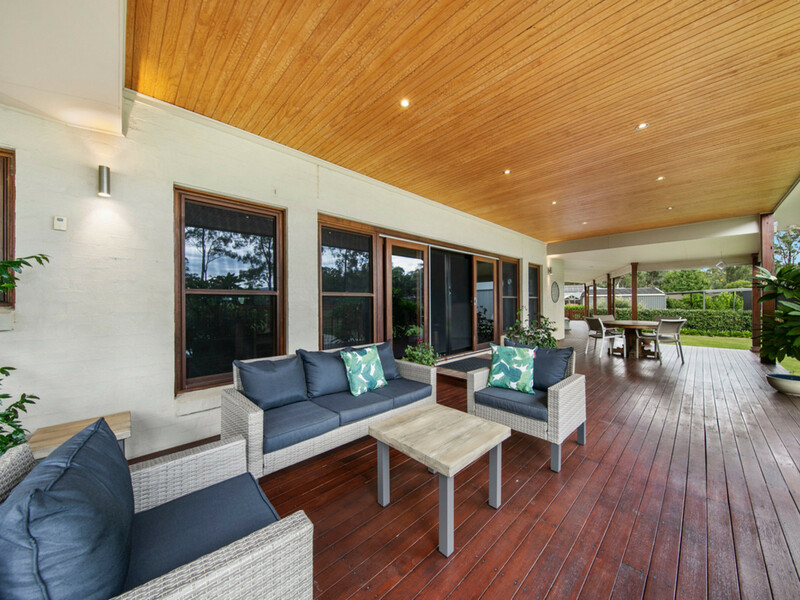 Polished Spotted Gum floors, high ceilings and huge windows set it apart from everything else on the market. 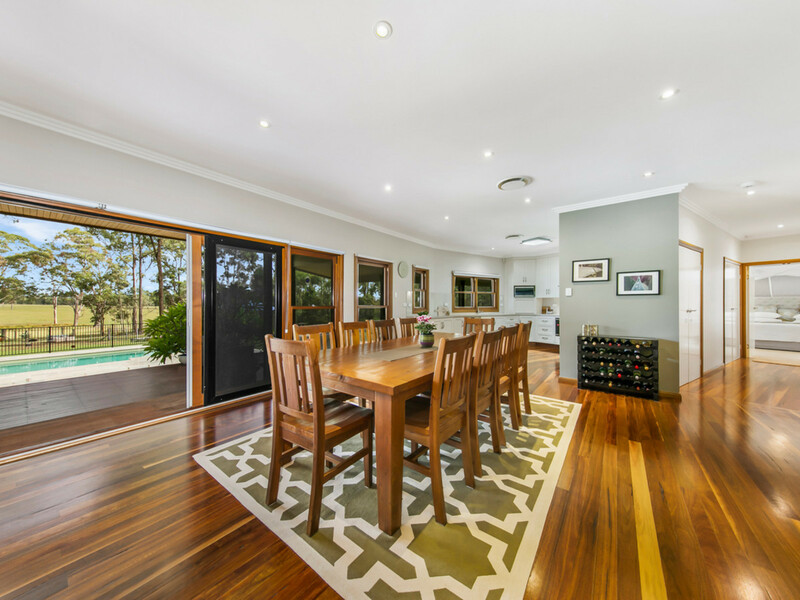 A huge kitchen with induction cooktop, new Bosch appliances, 40mm stone benchtops and a walk-in pantry adjoins the main living area and also offers views over the pool. 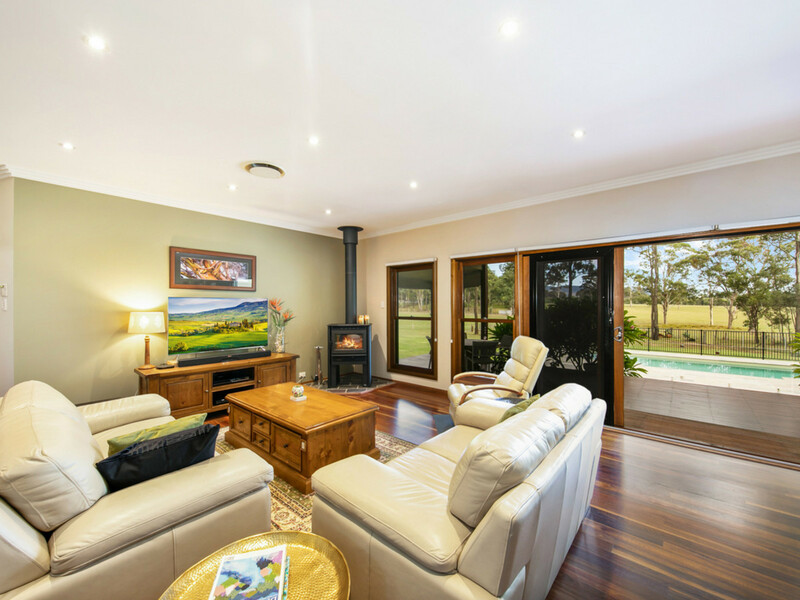 An additional cinema, formal lounge or rumpus room provides a separate living space which can be closed-off from the rest of the house. 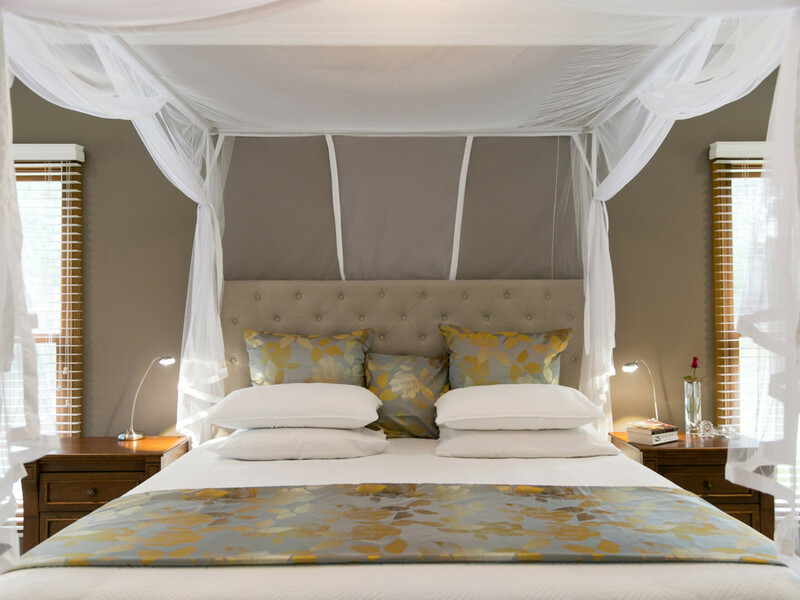 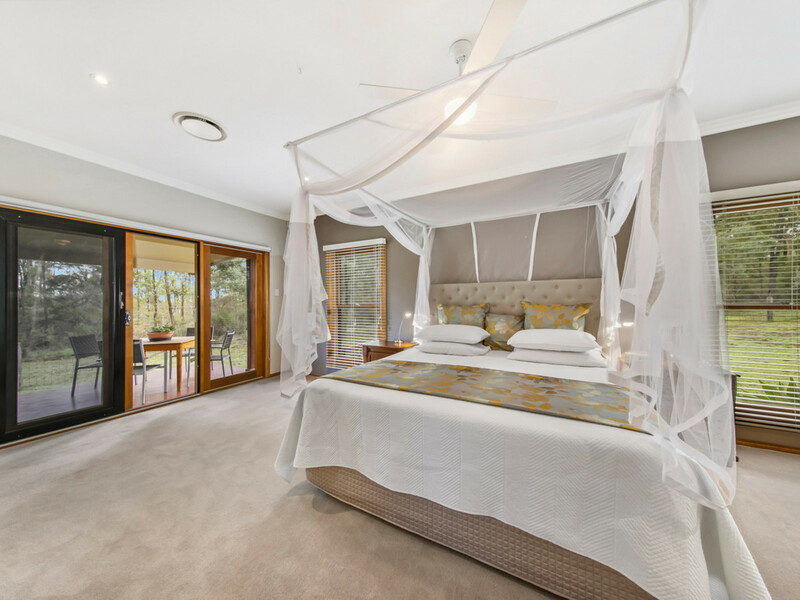 The home offers five generous size bedrooms all with built-in robes except the massive main suite which has an ensuite, large walk-in robe and glass door out to the rear deck. 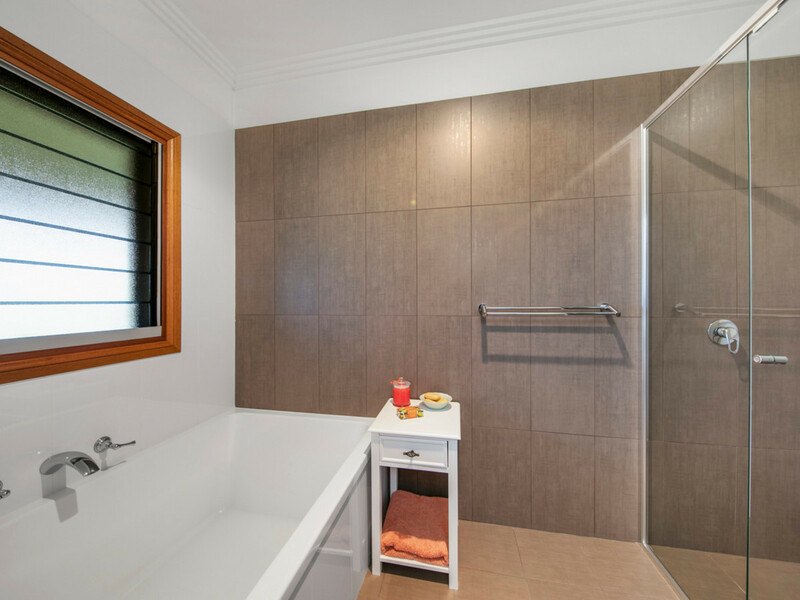 The main three-way bathroom is cleverly designed with a deep double-wide soaking tub and adjoining laundry is convenient for family living. 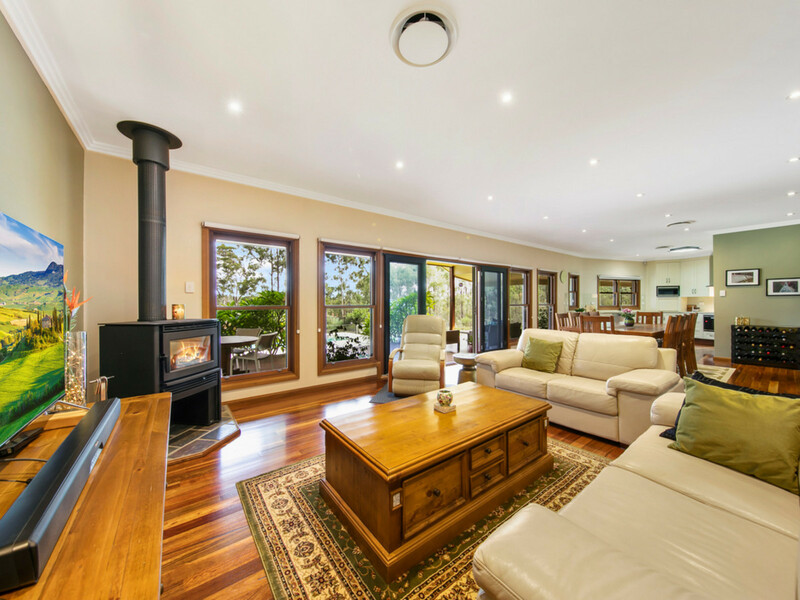 The home has plentiful storage throughout and is kept comfortable year-round by reverse-cycle ducted air conditioning and a Canadian low-emission wood burning fireplace. 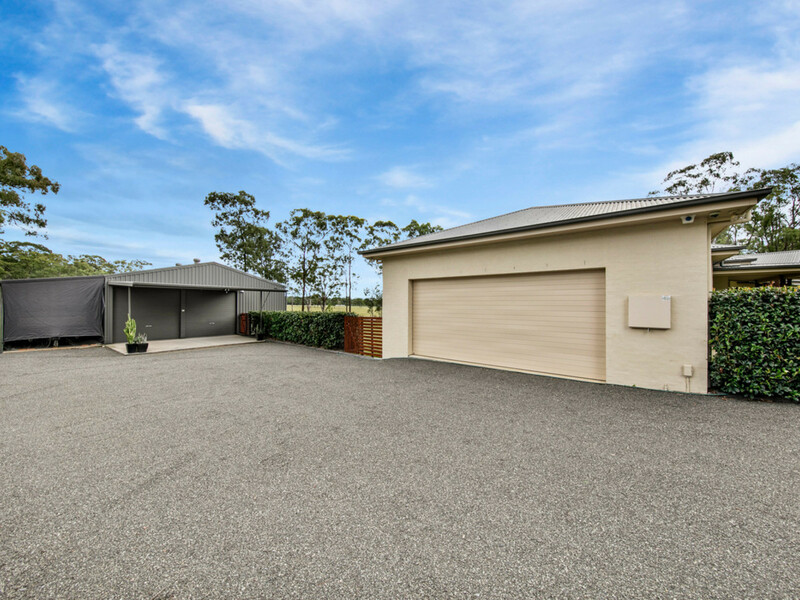 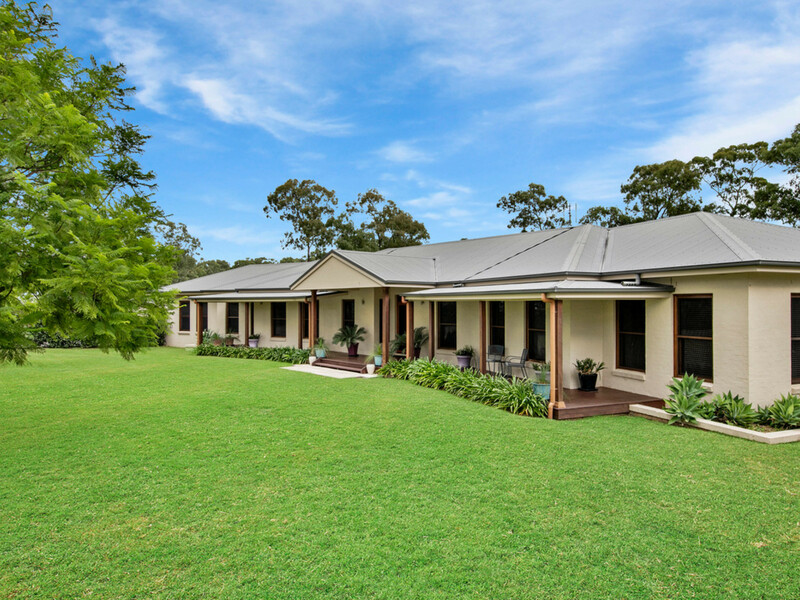 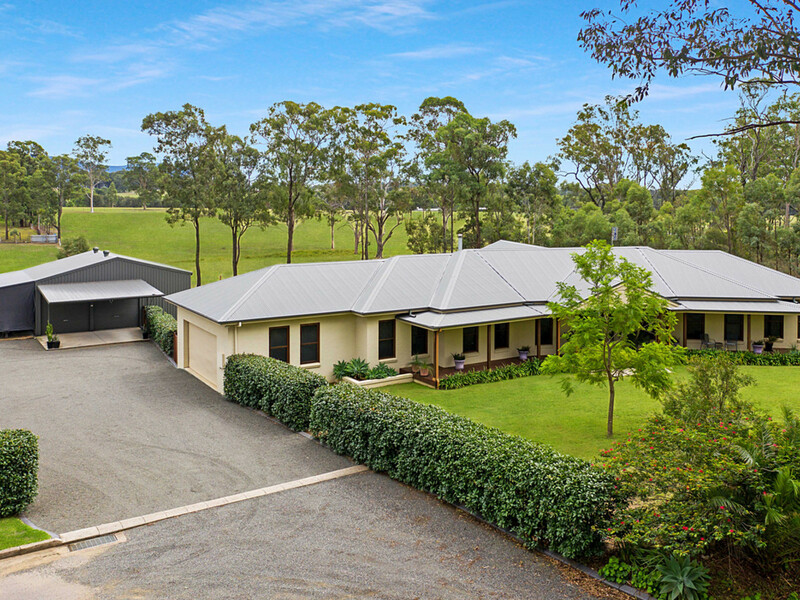 Outside, wide covered verandas hug the front and rear of the home, a double garage with internal access provides ample car storage and an additional 8x10m machinery shed, 8x3m van or boat space and further 6.5×6.5m carport will house all the toys. 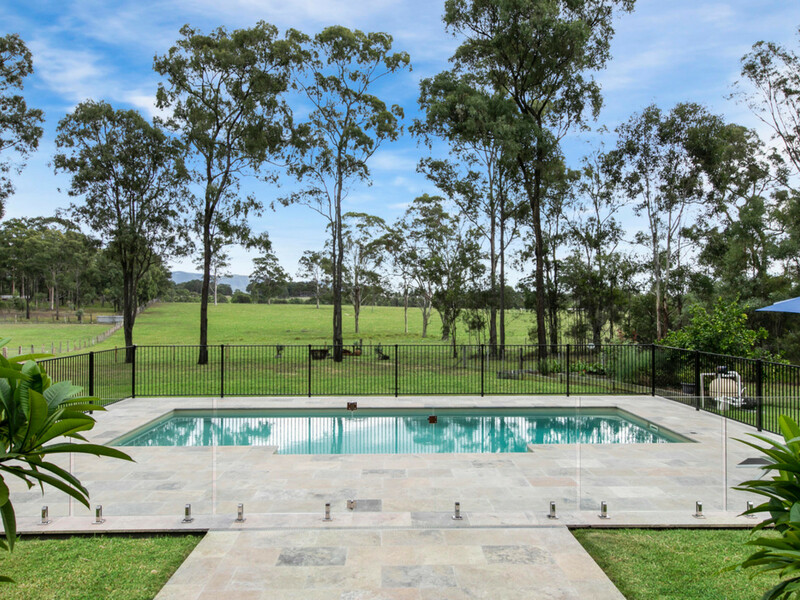 Also, a stunning in-ground saltwater pool is paved with raw natural travertine stone which blends into the natural surrounds. 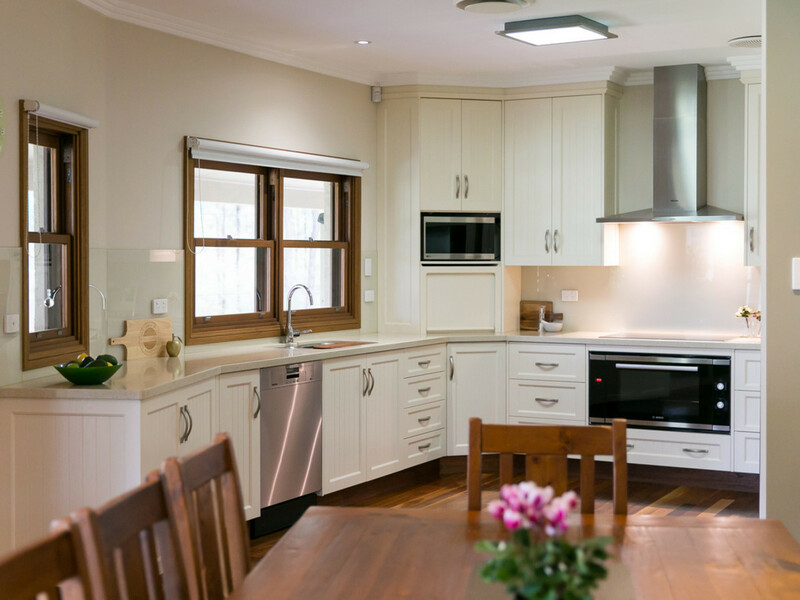 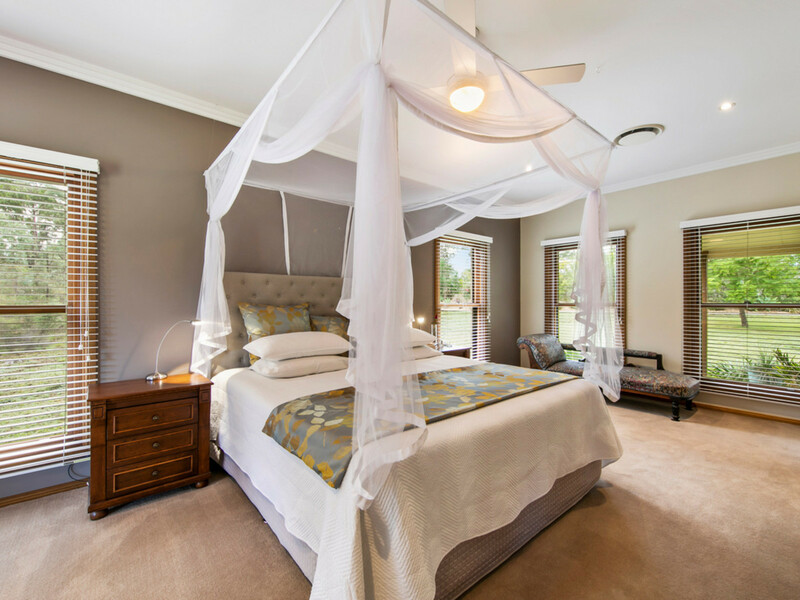 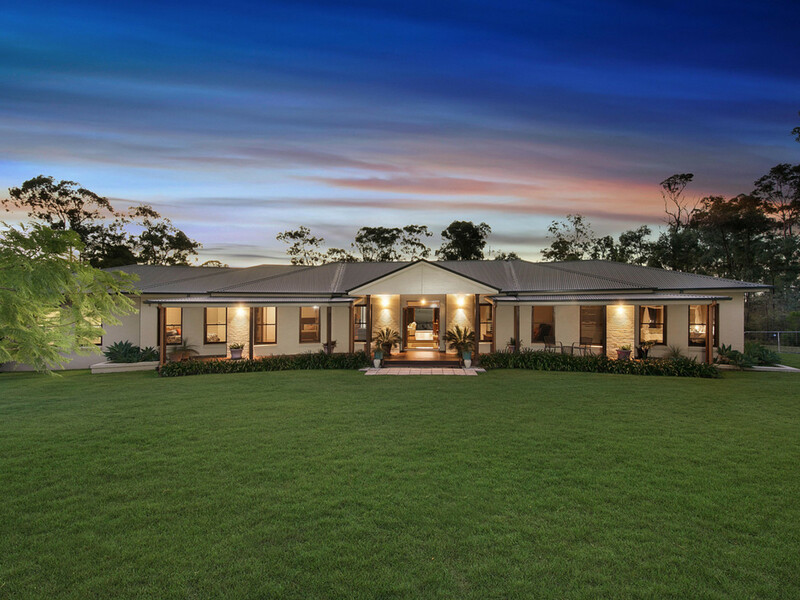 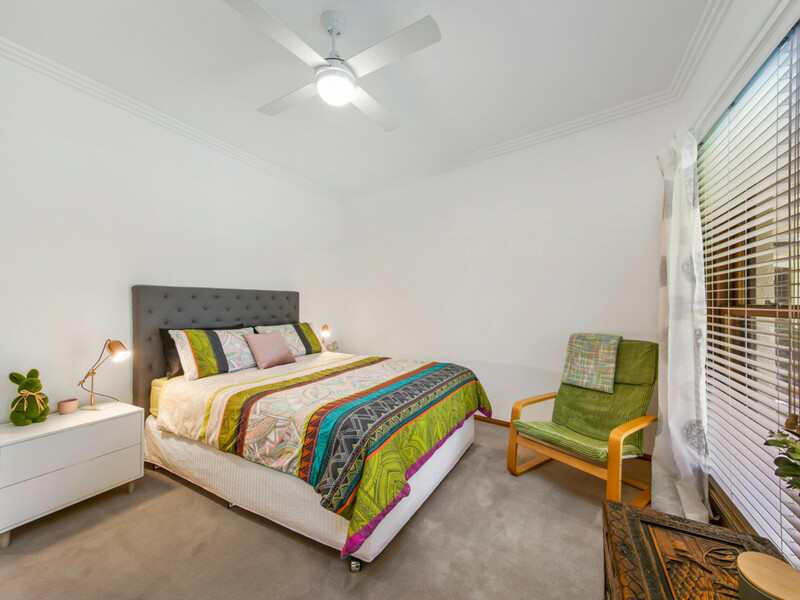 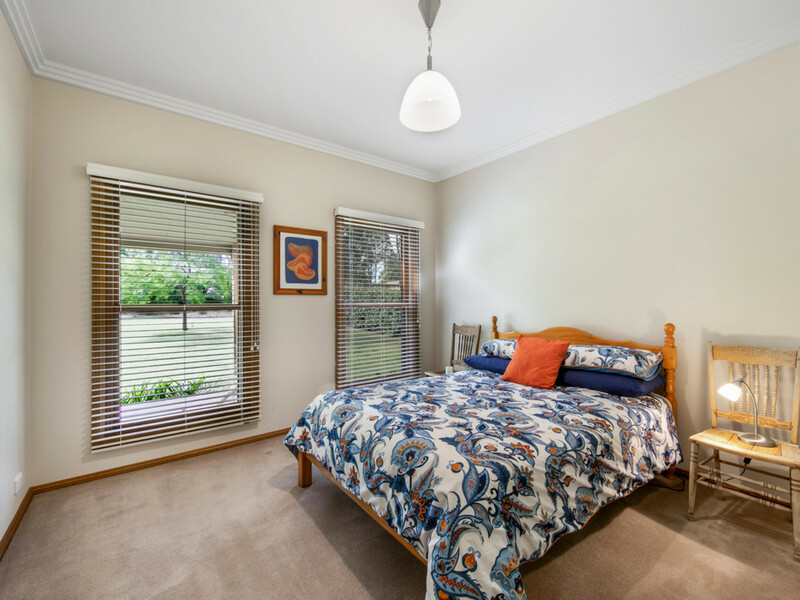 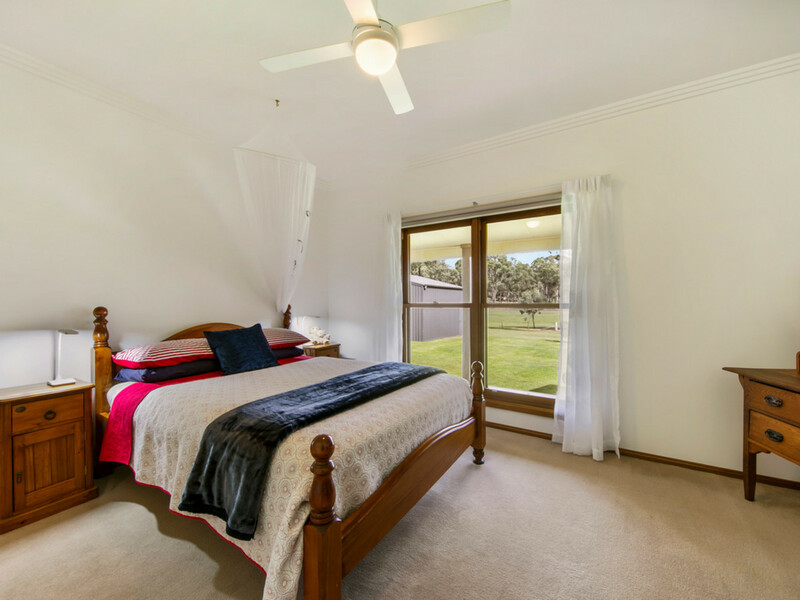 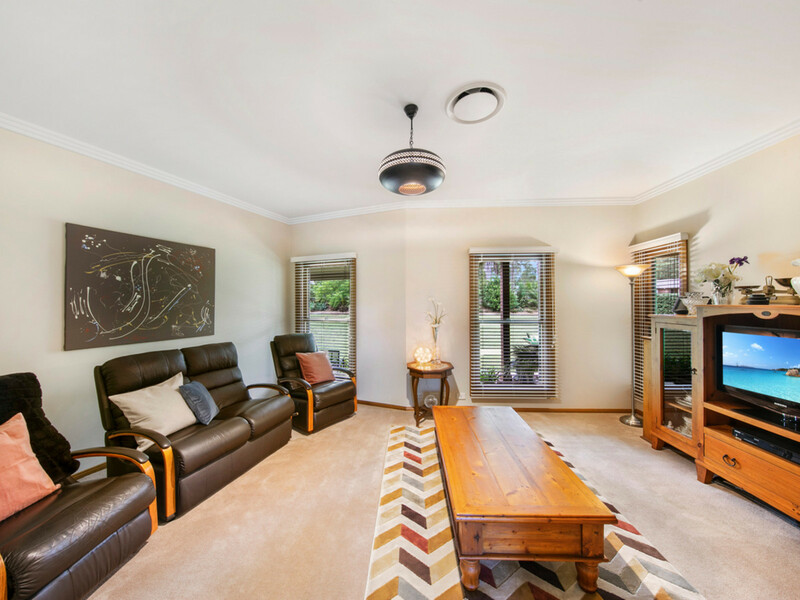 On the doorstep to vineyards, concert venues and restaurants of Hunter Valley Wine Country, the home is also perfectly located for Nulkaba School and St Phillips Christian College.